We invited IB Diploma Programme (DP) graduates to reflect on their lives and studies. Lachezar Arabadzhiev is a graduate of the British International School Shanghai. Learning is something that we are all familiar with because we’ve been doing it since day one. Learning how to walk, talk, add up numbers and complete internal assignments (just IB grads on that last one), but with time we tend to focus on specific skills that are of greater value to us. The more we pursue our niche interests, the less excited we are about new things that are happening in our surrounding, things that could potentially affect our lives in a positive way. The natural progression of education is a great example of this. We start by learning everything in primary school – math, science, and humanities – and then go towards more concentrated studies – bachelor of business administration (BBA) or maybe a bachelor of science (BSc). However, I have always believed that you should not be afraid to explore the unknown. No matter what your specialization is, true and exciting learning often happens in those moments when we are out of our comfort zone. Why? Why wouldn’t it be? Well, the mental picture that people often have when they hear the word “coder” or “coding” is a computer science student staring at a screen and typing the next revolutionary algorithm that will save us from an alien attack. Even though that might be the case (rarely), going beyond the word and trying to understand the concepts behind it is of essence to learning a new skill. Indeed, the so called “coding” is a multi-dimensional concept – there are web developers that code websites, data scientists that write automation scripts, back-end developers that build whole platforms and the list goes on and on – and all those can be labeled as coders in some way. The world of technology is vast and because of its pure size and complexity often people choose not to explore it. They fear that they do not have the time or capacity to be good at it. I have always tried to face those fears in my life and question them to the best of my abilities. After all, quality learning does not happen overnight, it is a gradual process that takes a while. There are two main components that I have found useful when trying to learn something new. The first one is, you need to understand the building blocks of what you are learning, whether a software tool, sport or a language, the same methodology applies. Pick something that you would love to achieve and spend your time on. I recall wanting to create a website that allowed users to log-in and edit their profile pictures (not the greatest tech innovation, but something). As a clueless amateur who had never developed anything before, I began my exploration. With a simple online search, I found the programming languages that are required to build a basic website and quickly started an online course, so far so good. Of course, a roadblock was hit very soon, I was learning the capability to create a website, but what about making it visible to the public? So, an entire new spectrum of knowledge opened up in front of me – domains, hosting, server functionalities – that I had never known existed before. The fascinating part of being on an exploratory journey is that there isn’t a final destination. By the time I finished my little project, I had acquired a tremendous amount of knowledge, not only about website development, but also about how technology works and interacts with other areas in our lives. Here comes component two, now that I had all that information, there were so many more options to pursue and learn about. I ended up deviating from my initial interest and going towards how data is collected and used on the web, something that would have never happened, if I did not take that first stab at web development. The fascinating part of being on an exploratory journey is that there isn’t a final destination. You can pick where you stop and what to look at, and you almost never get bored. So be curious and take on risks because that is going to broaden your mindset and show you what is out there. Lachezar Arabadzhiev graduated from the British International School Shanghai with the IB diploma in 2013. He has just completed his BBA 2017, specializing in international business from the University of Toronto Scarborough and is going to pursue a career in the technology industry. His ultimate goal is to build technology that has a positive impact on people’s lives. 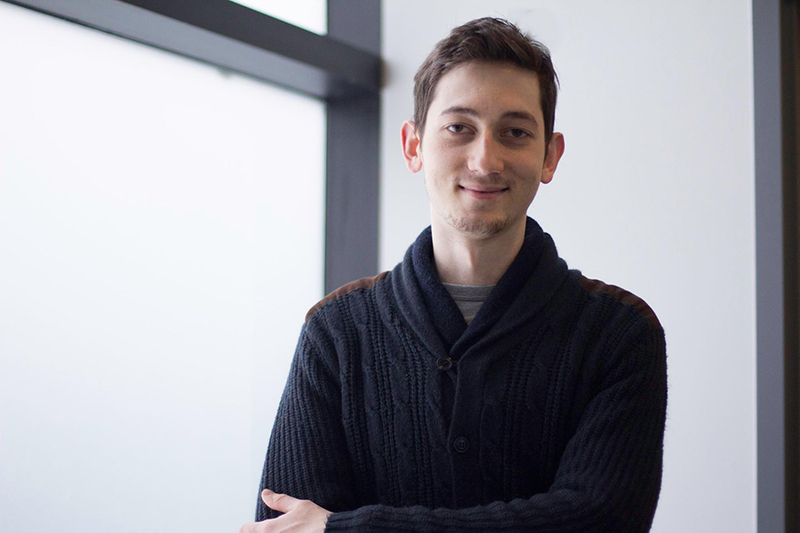 Lachezar has worked for tech-giant Microsoft both in the United States and Canada and co-founded two start-ups of his own – Kaign, a music curation app and Volykos, a wireless charging solutions provider.